MINNIE MOUSE PeekABoo Walker is rated 2.3 out of 5 by 4. 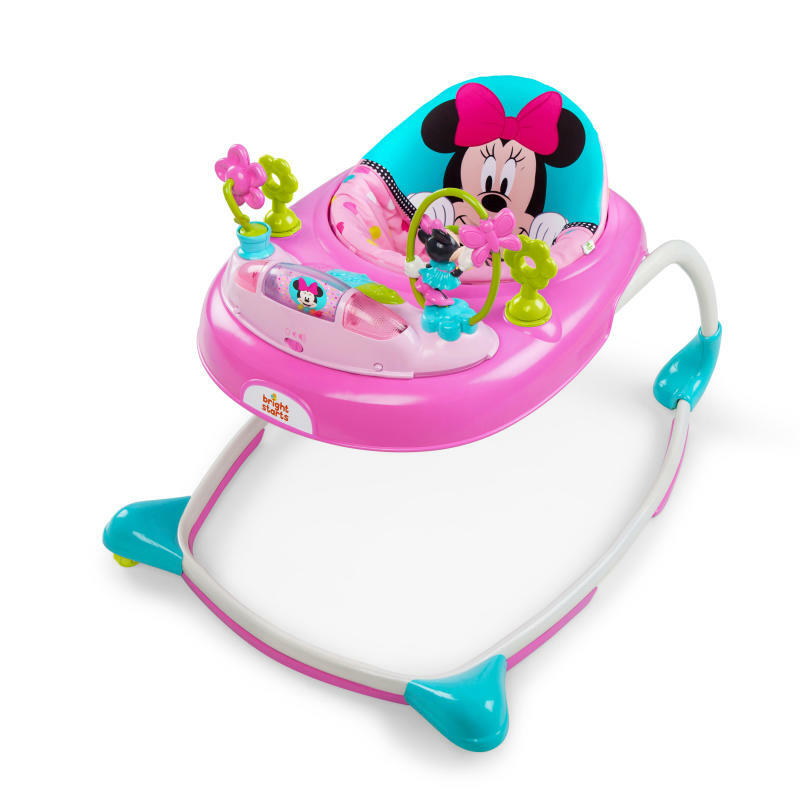 Your baby girl will find the Disney Baby Minnie Mouse PeekABoo Walker simply ear-resistible! This adorable walker is full of sweet and stylish fun with an electronic toy station that can be removed for floor play. The seat pad has 3 different height positions to provide some growing room for your little sweetheart and comes with 2 link loops to add baby's favorites. Lights and sounds, piano keys, clicky flower with beads and an adorable Minnie bead chaser inspire playtime with Minnie. It's all about the bow! Removable piano station with lights & sounds for on-the-go fun! Rated 1 out of 5 by Nicki79 from Highly disgusted I bought this for my daughter and when I took the seat off to wash I usually wipe around the inserts to remove dust/crumbs, today the 30th of July I noticed crumbs around the battery/musical toy compartment when I removed it to wipe said crumbs away I found thick green mould, we all now babies dribble, tip their bottles etc but nowhere in any leaflet does it say regularly check this for mould. This was the cause of my daughter being rather unwell. I will not recommend this product and despite cleaning it I have thrown it out.